Jason is a litigator and strategic counselor in all aspects of labor and employment law. He litigates unfair labor practices before the NLRB, arbitrates labor grievances, negotiates and administers collective bargaining agreements, and develops long-term labor strategies to maximize the value and effectiveness of each client’s workforce. He also litigates and provides daily counsel on matters arising out of the numerous federal and state counterpart statutes governing employers, including FLSA, Title VII, the Family Medical Leave Act, the Age Discrimination in Employment Act, and the Americans with Disabilities Act. He has extensive experience defending collective and class action wage and hour disputes and conducting wage and hour audits to proactively identify and minimize potential sources of liability. Jason’s ability to learn the complex layers of each client’s business, build enduring relationships and effectively communicate complicated legal and business concepts helps enable clients to overcome the numerous ongoing labor and employment challenges they face. His clients include health care entities such as nursing homes, senior care facilities, in-home care providers and assisted living centers, as well as manufacturing clients, retail distributors, and meat processing facilities with facilities around the country. Before joining the firm, Jason served as an occupational safety and health officer for the Illinois Department of Labor. He also served as an environmental policy analyst for the government of the Republic of Korea, and as advisor to the Minister of Environment at the Third Session of the United Nations Commission on Sustainable Development. He teaches classes on ADA, FMLA, FLSA and successfully managing the union relationship at the University of Wisconsin at Milwaukee in an adjunct capacity. Jason is a member of the Committee on Practice and Procedure under the National Labor Relations Act of the ABA and a member of the National Asian Pacific American Bar Association. Jason regularly takes advantage of opportunities to serve the Chicago community. He is a former board member and currently serves on the emeritus board of Chicago Cares, a public and community service organization that works to build stronger communities in Chicago through volunteerism. He previously served as president of the board of directors of Korean American Community Services (KACS), the oldest not-for-profit community social service organization in the Midwest dedicated to serving the needs of the Korean American community. He is a former president of the Board of Korean American Community Services. 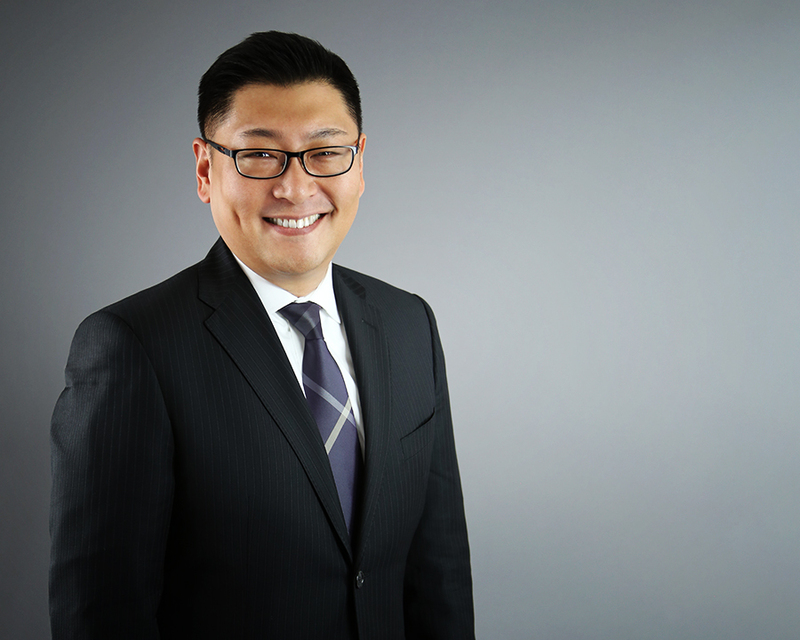 Jason also is an advisory board member of the Korean American Bar Association, having previously served as its treasurer, and a member of the firm’s Diversity & Inclusion Committee. Successful defense of national company in unfair labor practices charges over declaration of impasse in bargaining and ensuing 6-month lockout. Favorable outcome at trial and following union’s appeal to NLRB. Decision at 359 NLRB No. 116. Representation of national transportation company and national construction manufacturer in NLRB proceedings throughout country. Representation of multiple nursing home management companies in collective bargaining, contract administration, labor strategy and NLRB proceedings. Served as chief spokesperson for negotiations on behalf of school bus company for first contract covering drivers and monitors, with Teamsters union. Serve as chief spokesperson for negotiations on behalf of nationwide retail distributor for contract covering warehouse employees, with Teamsters union. Serve as chief spokesperson for negotiations on behalf of multiple long term care facilities, with Service Employees International Union (SEIU). Serve as chief spokesperson for negotiations on behalf of property management company, with SEIU. Serve as chief spokesperson for negotiations on behalf of truck manufacturer for contract covering production and maintenance workers, with United Auto Workers Union. Serve as chief spokesperson for negotiations on behalf of meat processing facility for contract covering production and maintenance workers, with Teamsters union, and UFCW. Defense of corporate defendants and officers in class action litigation alleging improper employee classification (i.e. application of the Executive Exemption to Assistant and Store Managers), improper work-hours calculations and failure to pay overtime, and improper calculation of wages and overtime amounts in connection with bonus and commission payments. The defense has resulted in the dismissal of state-counterpart claims, eliminated various elements of the alleged class action relief, and successfully contested and dramatically reduced the scope of the proposed class. Represented manufacturer in defense of claim by former employee alleging violations of the FLSA and the Illinois Minimum Wage law. Immediate and favorable settlement of claim prior to discovery or class action petition. Represented retail client in FLSA collective action, and state-counterpart claims, alleging failure to pay overtime based on improper application of piece rates by employer and propriety of independent-contractor classifications. Defended company against class action claims alleging failure to pay in excess of $1M owing to in-home installers based on purported miscalculation of travel and overtime wages. Aggressive defense eliminated named plaintiffs from lawsuit, defeated request for class action relief and achieved immediate dismissal of claims. Defended restaurant licensor and licensee against class action complaint alleging miscalculation and/or underpayment of wages, tips and bonus amounts, and failure to pay wages for all hours worked and/or overtime. Defeated plaintiffs’ claim for joint-employer status and joint liability between licensor and licensee, and obtained resulting dismissal of claims against licensor-client – with no payment of any monies. Defended claims for unpaid overtime under the Illinois Minimum Wage Law, including Motions to Dismiss based on plaintiffs’ failure to meet statutory definitions of various elements of her claims. Defended FLSA collective action alleging failure to pay overtime by employer/restaurant. Successful settlement of claim through court-mediation. Defended FLSA collective action alleging failure to pay overtime for all hours worked, including as to “joint employer” allegations involving placement of temporary employees by staffing agency. Favorable settlement. Represented retail client against claims alleging misapplication of executive exemption under the FLSA, and resulting failure to pay overtime for all hours worked by employee. Favorable settlement of claims. Defense of FLSA collective action filed by restaurant employees alleging failure to pay overtime for all hours worked, as well as alleged misapplication of professional, administrative and executive exemptions. Defense of matter included handling of parallel, on-site United States Department of Labor audit initiated immediately prior to filing of lawsuit. Favorable settlement of litigation, together with corresponding resolution of DOL audit. Defense of FLSA collective action alleging failure to pay overtime for all hours worked. Allegations included improper application of the executive exemption under the FLSA, and failure to pay for “off the clock” work by employer/restaurant chain. Favorable settlement following filing of motion for summary judgment on behalf of all defendants. Defense of lawsuit alleging failure to pay overtime for all hours worked at various restaurants, including assertion of defenses against plaintiffs’ alleged application of “single employer” doctrine relative to various corporate defendants. Favorable settlement. Defense of nursing home collective action alleging failure to pay overtime to nurses based on meal break, and pre- and post-shift practices. Favorable settlement. Defense of warehouse operation class action involving approximately 1,000 employees, alleging violations of the FLSA, IWPCA, IMWL, IDTLSA by contracted staffing agency. Draft and/or negotiate employment agreements, separation agreements and restrictive covenants on behalf of executives, multiple private equity firms, and other corporate clients. Day-to-day counseling on all aspects of labor and employment laws for national senior care company operating in 20 states, including FMLA administration and enforcement, EEO and FLSA compliance.